Download the Twiniversity Media Kit to learn more about our web and social media stats, partnership opportunities, and offerings. 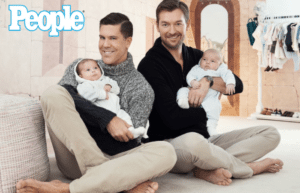 People Magazine, Fredrik Eklund Says Newborn Twins Milla & Fredrik Jr. Are ‘Double the Work, Double the Joy! Bravo TV’s Bethenny and Fredrik show, behind the scenes. 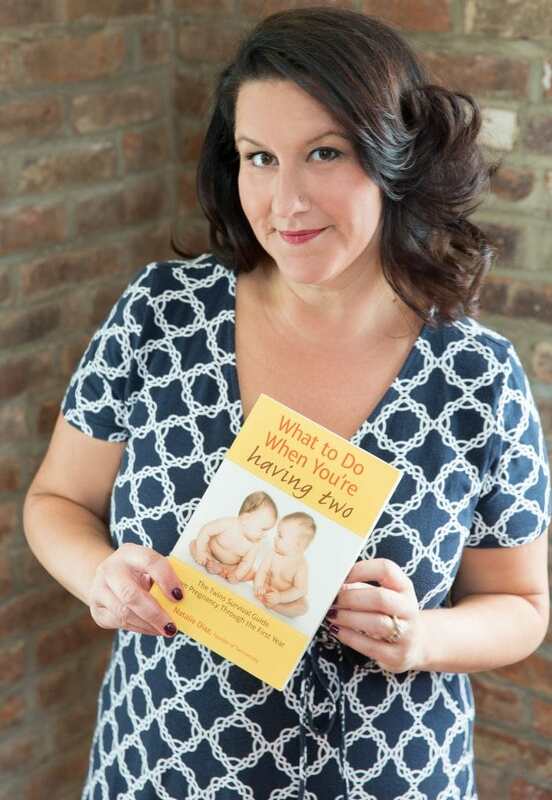 Nat’s Book, “What To Do When You’re Having Two”, an Amazon Bestseller! 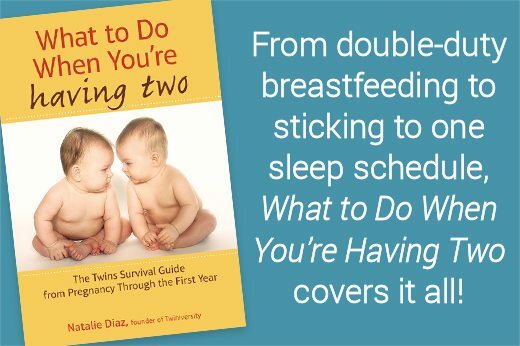 Learn all about the #1 book for expecting multiples, “What to Do When You’re Having Two”, written by Natalie Diaz, Twiniversity Founder and CEO. 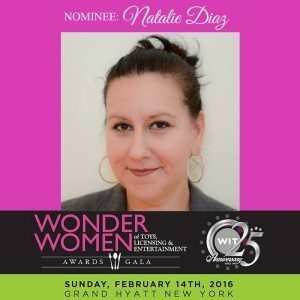 Twiniversity founder Natalie Diaz has been featured in magazines, newspapers, radio, television and of course, the web. She speaks on topics such as running your local twins club, keeping your marriage strong with multiples, balancing your life and your children’s lives, influencer marketing, niche marketing, succeeding as an entrepreneur, among many others. To find out where Nat will be speaking next, check out our Events page. To book Natalie to speak at your next event, email Natalie@Twiniversity.com or call 917.442.2020. Britax Child Safety, Inc. is honored to have partnered with Natalie Diaz and Twiniversity for the past ten years. We’ve even sat in some of Natalie’s NYC Twiniversity expecting parenting classes as well as collaborated in person and online to reach parents of multiples across the country. There is no other expecting and new parents of multiples resource with so much current expertise than Natalie Diaz and the Twiniversity staff. Twiniversity has been a Happy Family Organics partner for the last 10 years. 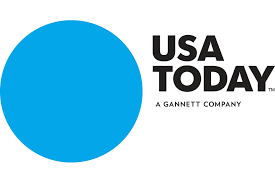 Twiniversity and Happy share the same values: support for all moms with no judgment, delivering trusted products, practical advice, and information, and a commitment to the health and happiness of all children. Nat has been a long-time partner of MAM for good reason – Not only is she authentic, relatable and quick-witted, but she is also very knowledgeable about the safest and best products for babies. She works closely with us to craft tailored plans to help us achieve our marketing and sales objectives. She knows her audience well and we always trust her instincts on what will work best. The team at Twiniversity have been a joy to work with all year long. They are quick to respond to all correspondence and provide immediate results from activities we partner together. 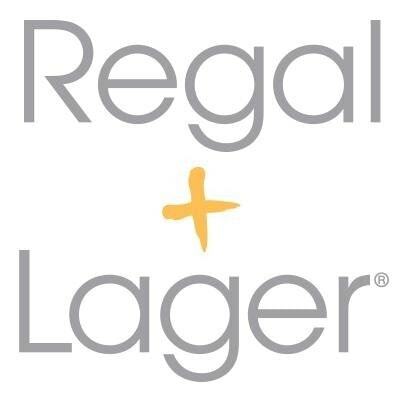 Their following has been very active with our partnership and have helped increase our fan base and bottom line. Top notch professionals! We are the distributors of several high-end baby brands in North America. We have worked closely with Twiniversity for a couple of years now, especially on our Love To Dream brand, featuring the Swaddle UP. Natalie and Julie do excellent work always, and they have so much knowledge in the space of safe sleep especially. We find it valuable to work with Twiniversity, helping to promote our products and we are very pleased with their consistent high-quality work. They are dependable and extremely easy and nice to work with. Our partnership with Twiniversity has far exceeded our expectations. We’ve worked with Twiniversity for a few years now and they are truly an extension of our marketing team. We’ve seen continued success with sponsored Twitter parties and now, newer to the scene, Facebook parties. They have helped to expand our reach and brand recognition within the multiples community, both online and off. BabyBjörn and Twiniversity have been brand partners for the last two years. Twiniversity not only understands the core values of BabyBjörn, parenting, bonding, and safety, but really embraces the brands they work with. Due to this personal connection with the select brands that they work with, BabyBjörn has quickly seen increased engagement with parents of multiples. In addition, Twiniversity has helped elevate the BabyBjörn brand by reinforcing the importance of babywearing while offering simple, effortless solutions for young parents of multiples. 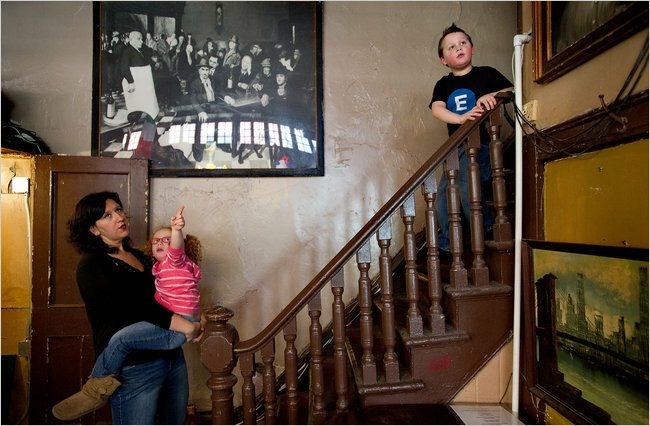 Natalie and her twins were in the New York Times, focusing on her deep roots in New York City in the article, “New York’s Little Italy, Littler by the Year” by Sam Roberts. Natalie was also featured in the New York Times article, “Family Tree New York”, regarding her generations of family in New York City. 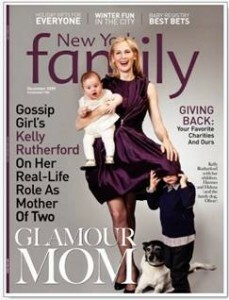 To find all of Natalie’s features in New York Family Magazine, click here. Natalie was a featured guest on the Doctor Radio network, hosted by Dr. Marina Kurian. Our expecting twins classes have prepared thousands of parents to get ready for and welcome home their multiples. 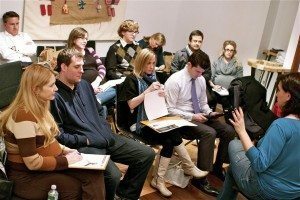 Classes are available in New York City, Chicago, Houston, and online. Want to interview Natalie or have her write a piece for you? Natalie and the Twiniversity team are constantly on the go, trying to make sure that every parent of multiples out there knows about Twiniversity. 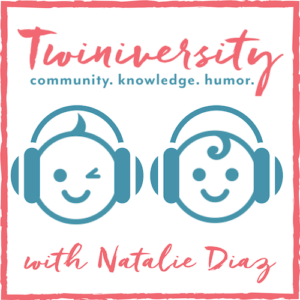 If you would like Natalie to be a guest on your show/blog please email her at Natalie@Twiniversity.com or call 917.442.2020.